The UK is opening its shores to an ever increasing array of US country outfits, with the likes of Little Big Town, Jess And The Bandits, Lindsay Ell, Striking Matches and the roster at London’s Country to Country Festival demonstrating what a high standard they bring with them. Add Kacey Musgraves to this list. Returning to Manchester for her second show in 18 months after last performing at The Ritz, she this time stunned a sold-out Albert Hall crowd with a show built around the title track of her second album, Pageant Material, which featured a tongue-in-cheek pageant themed performance, a soft, delicate country musical style, storytelling and more than a little humour and fun. Touring in support of her follow-up album, the stage is adorned appropriately – pink illuminated rhinestones, a pink tinsel curtain as the stage backdrop and that’s not even mentioning the clothing. The band are dressed in pink suits with fairy lights and Kacey herself in a leotard, tutu, cowgirl boots and enough glitter to rival a Vegas stage show. It has a very pageant feel to it and we are about to see that not only is Kacey Musgraves Pageant Material, but undoubtedly the Pageant Queen. There is huge applause as she takes to the stage following an excellent set from fellow US outfit Sugar and the Hi-Lows who have certainly won themselves a fair few new fans this evening. She immediately launches into the title track Pageant Material. What follows is a show filled with beautiful heartfelt songs, showcasing her songwriting ability, exquisite voice and the instrumental ability of not only herself on the guitar, but also her band. Live, the tracks are also slightly more up-tempo than recorded. Biscuits, This Town and Dime Store Cowgirl are amongst the many winners with the crowd. She is also perfectly at ease talking to her fans. She jokes about performing in a former church and being struck by lightning; the whereabouts of a lady who criticised her when growing up and labelled her a ‘Dime Store Cowgirl’, prompting the song, and about those strange members of every family. It also becomes apparent that she has a slightly mischievous side to her and is a little rebellious at heart. There’s a brief interlude as she introduces her band members and their ‘special talents’ which range from juggling to making whisky disappear (as demonstrated on stage), and playing the self-whittled wooden spoons to a fantastic impression of a drunkard. She also surprises some of the crowd with a few covers, amongst them TLC’s Scrubs and Coldplay’s Yellow, both performed with a country feel. As the show continues, fans lap it up, singing back to her and cheering every song. She even recognises some fans at the front from previous gigs. As the 90 minute set moves towards its final stages, the excellent Blowin’ Smoke and Follow Your Arrow provide the highlights. She disappears off stage momentarily, returning with coloured lights now adorning her own cowgirl boots for the final song – fittingly These Boots Are Made For Walkin’. She stomps and sings the rousing finale before a final a capella encore to send the crowd safely on its way. 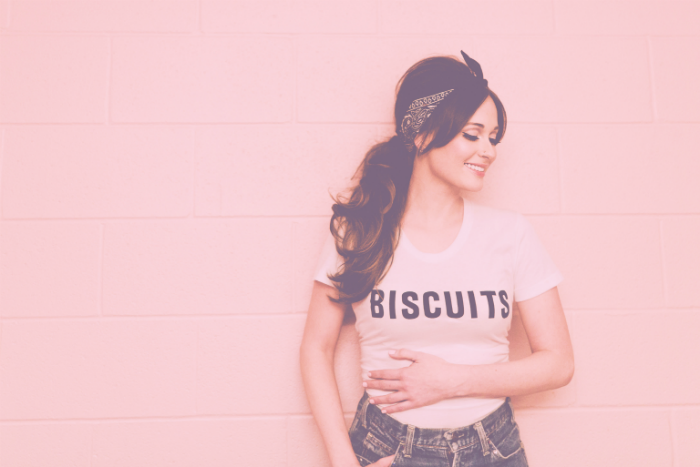 Kacey Musgraves will be returning to the UK to perform at the Country to Country Festival in 2016. From the cheers when she mentioned this, it sounds like most of the Albert Hall audience will be there with her. What did fans have to say?